FINALLY! I finished the quilt I began before I went to Portland. I have been working on quilting the quilt for the past week or so; I still had ten blocks left to quilt and got them all done this morning. I then added the binding and label. Finally that quilt is done – I’m ready to move on to a new idea. 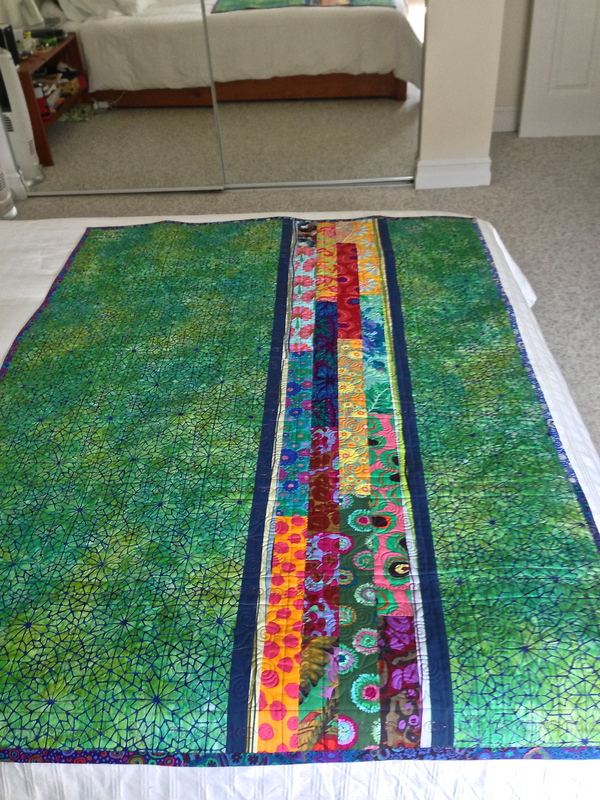 It’s a two sided quilt – I hesitate to call one the front and the other back – although I did consider the blocks the “front” when I was constructing the quilt. However, I like the second side equally well – I was pleased with how the bright strips sashed with the royal blue tones down the very strong green fabric. 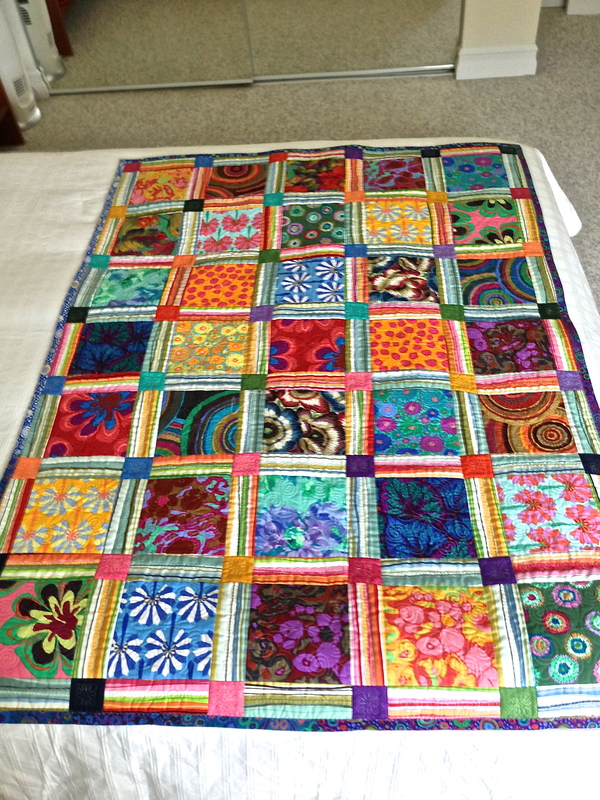 The embroidery I created to quilt in the hoop had four elements – one down the sash on the left of the block, the small square, along the bottom sashing, then finally the large square. That left some sashing/small blocks to be embroidered along the outer edge and top – but those elements went quickly.